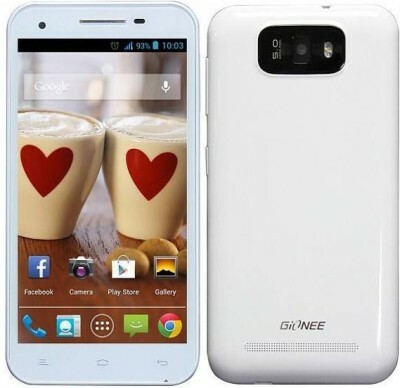 Gionee Gpad G3 would be next android smartphone from the Gionee after Elife E5. The Gpad G3 is now listed on infibeam with coming soon status. It will be the next handset in GPAD series after GPAD G2 ( check out our review ). The Gpad G2 has quad core processor and a 8MP primary camera, whereas the Gpad G3 has 5MP primary camera. Although the company has not enclosed any details about the launch of the handset. It will have 5.5inch capacitive touch screen display at FWVGA (854×480) resolution. It has 5MP rear camera with FLASH, 0.3MP VGA front facing camera, powered by 1.2GHz quad-core processor MT6589 paired with 1GB of RAM and Android 4.1 jelly bean operating system. It has 2250mAH battery, 4GB of ROM (internal memory) and 32GB expandable memory via microSD card slot. 3G, WIFI, Bluetooth, GPS and Micro USB connectivity . It supports Dual SIM with Dual standby. The Gionee GPAD G3 would be priced under RS. 15000.